Below are my 12 tips to help you catch more carp. These will all depend on the type of lake you are fishing. (11) moving onto fish, especially on short sessions, not so much on long sessions, unless there is a real change in conditions. 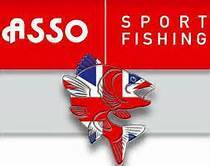 I have found that by moving,then other anglers turn up, they push the fish to were you original were! (12) the most important thing to remember, is never get hung up on other peoples catches (unless you know them very well), you will not be able to judge how much they fish & when they catch. I have fished a lake, that the most of the carp came out in the day and I only fished at night. When we added up all the fish that came out at night, I was doing OK on the catching front. My point being, that don’t judge yourself with other peoples catch reports! I love to fish and it is mostly bass and trout here in Upstate N.Y- It bothers me that carp are treated as a “trash” fish and are sometimes shot with bows. The two times I have accidentally hooked a carp are two of my best fishing memories. (They got away both times!) I am asking you as a fan of this fish- what would be the best way to start to fish in an area with much carp and no fishing pressure on them at all. I practice catch and release except for a few trout and the occasional walleye which are very good to eat. I am speaking out of respect for this much maligned species on this side of the Atlantic. I do love you music blogs, as I also Love music. That’s a good list. Particularly agree with the hook sharpening, nice to see you put it at the top, it has transformed my angling.